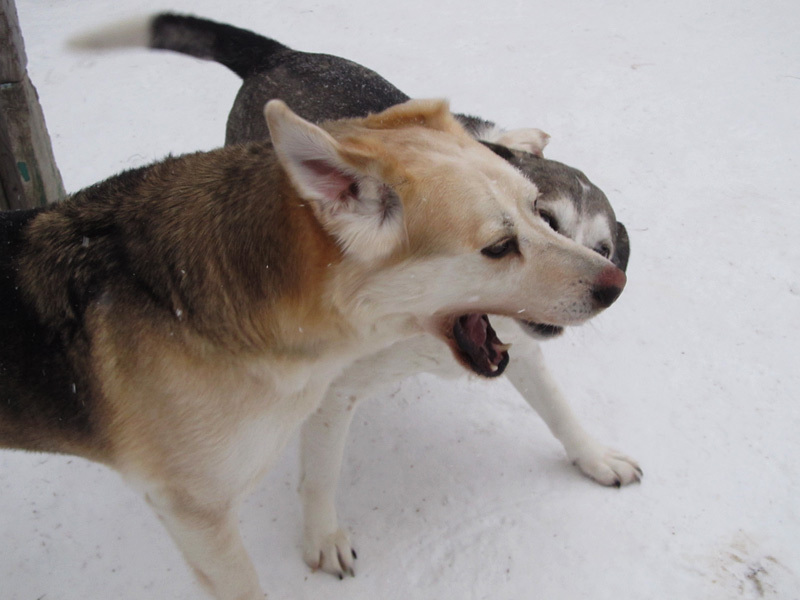 Dogs who play-fight and play-bite are able to practice a range of dominant and submissive displays which they can use in encounters with other animals that they are meeting for the first time. This puppy-style romping and running around is still lots of fun for adult dogs. And it's great exercise, too. o snap! I love the instant you caught in the frame where I can see the tops of Spirit's eyes above the Casper's muzzle. If it weren't for that, it would look a lot more serious. Even so, one heckuva action shot!! !